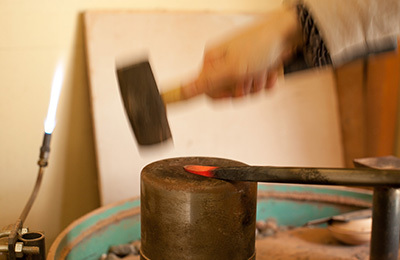 Maiko Okuno is a Japanese lacquer artist and woodworker who produces a mixture of functional objects at her studio in Ishikawa Prefecture, Japan. 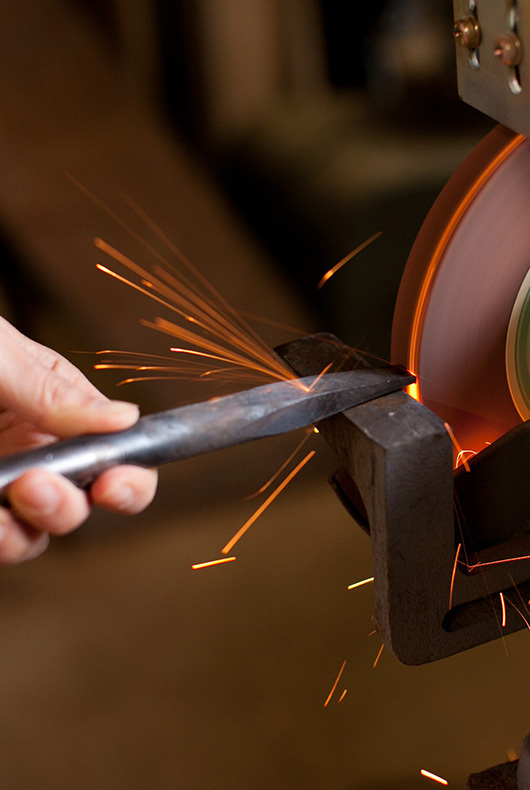 Each item is made by hand, with the process starting on the lathe where she turns a rough shape out of wood. 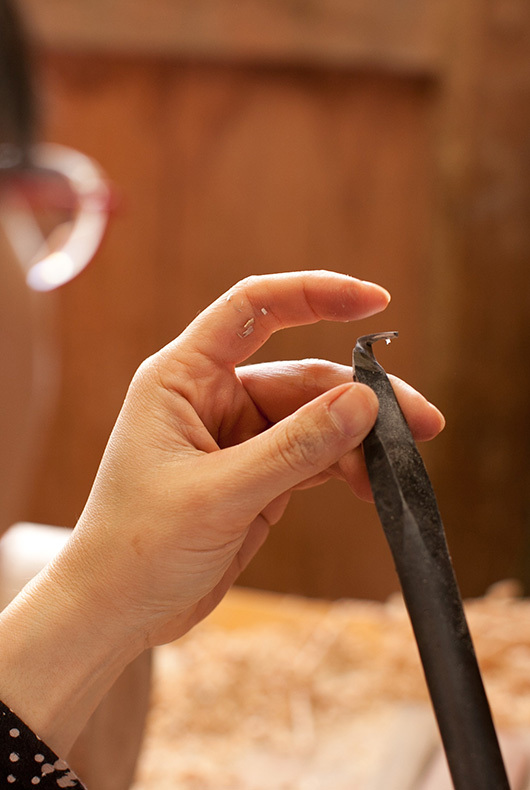 Depending on the desired article she may also use chisels and knives to get the desired shape, lastly adding lacquer in layers to protect and preserve the wood. 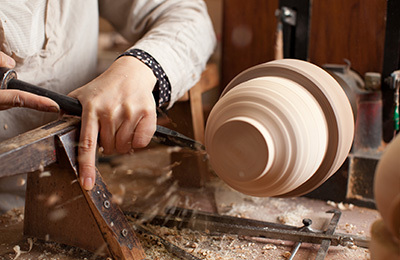 Maiko Okuno’s philosophy is to “create something that can be cherished for life”. Her inspiration came when attending an exhibition showcasing the work of famous lacquer artist Ryozo Kawakita, a director of the Japan Craft Asso­ci­a­tion and a Liv­ing National Trea­sure of Japan. 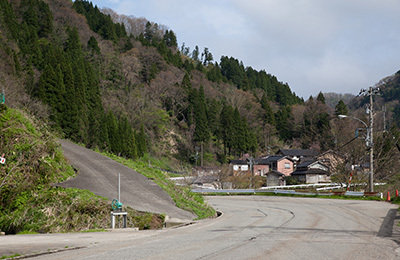 In 2005 she went on to set up her own studio in Ishikawa Prefecture, where she is now at a point of high quality construction and craftsmanship that we’re very proud to host. One interesting thing about Maiko’s work is the elaborate and often complex shapes that she’s able to produce by hand. This, in combination with the smooth and often undecorated surface, leads to a contemporary set of vessels that offer a twist on such a traditional craft. As you will see here, not only does she make angular forms, she also produces teardrop shapes and curved vessels that are very fine and detailed. 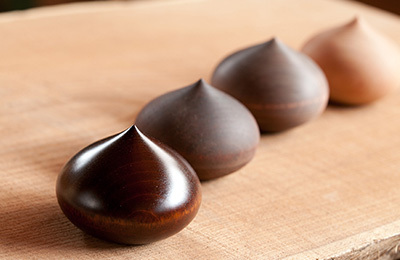 In such simple items “detail” can sometimes be lacking, but it exists here in subtle ways unseen from afar, such as how the lids on the vessel connect or how the small plates ebb and flow to represent the living nature of the wood. This just highlights the true skill in the work. 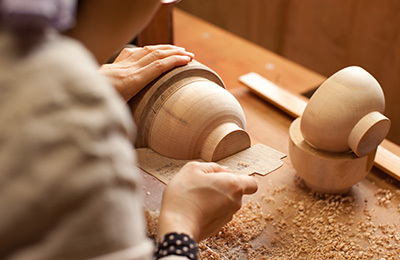 Thanks to talented Japanese photographer Shigekazu Shinya we’ve been able to document and capture inside her workshop, hopefully showcasing some of the skills in which it takes to produce such beautiful forms. You can check out our full range by Maiko Okuno now in the shop. 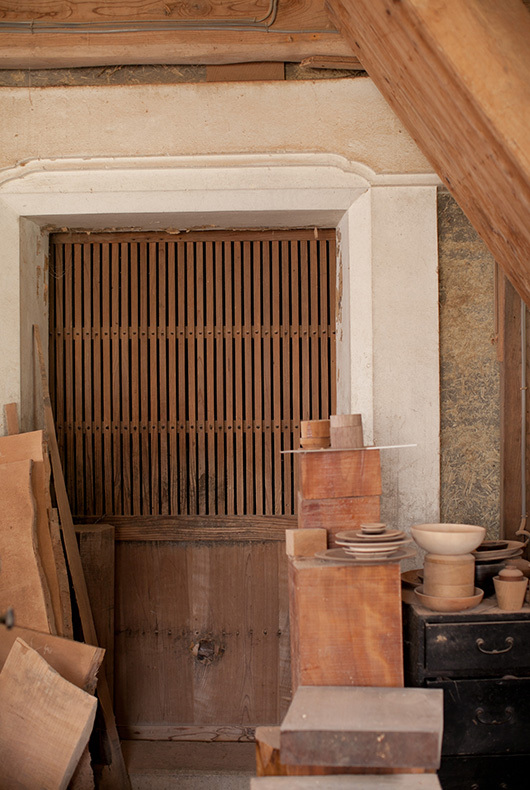 A look inside Maiko Okuno’s studio in Ishikawa Prefecture, Japan. 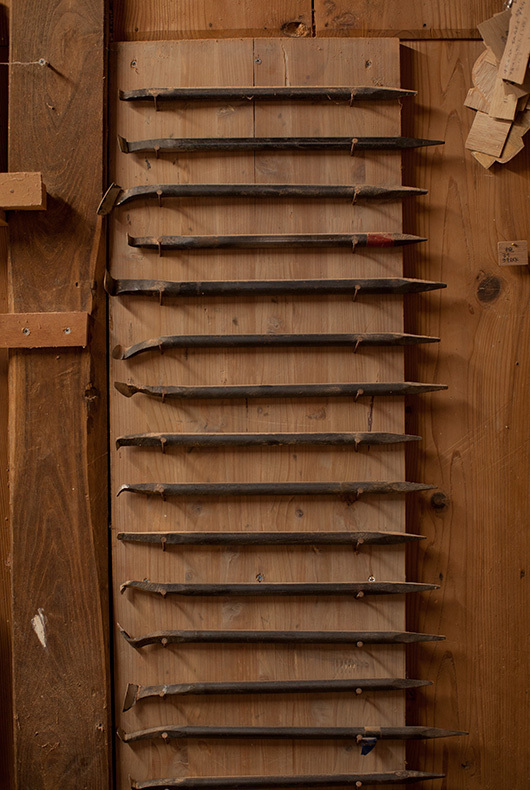 A selection of metal chisels on the wall and wooden blanks to use in the turning process. 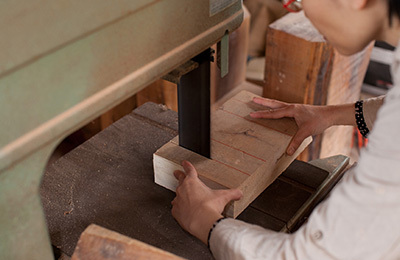 Cutting a selection of wooden blanks that will be used to craft her beautiful wooden objects. 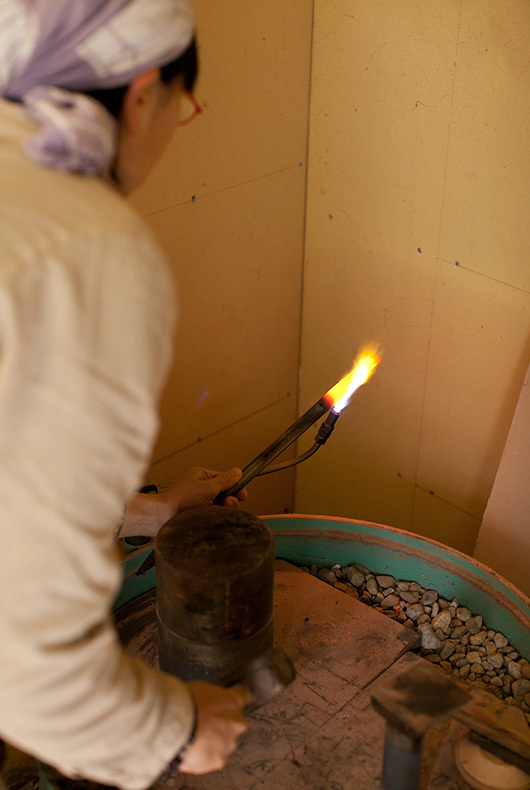 Maiko sharpens and uses a blow torch to heat up the tip of her chisel so she can manipulate it. 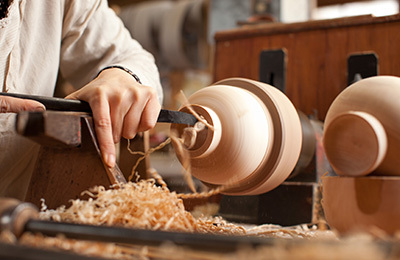 Once hot enough, Maiko can hammer the tip of the chisel to suit her needs, thus making it easier to carve her wooden objects on the lathe. 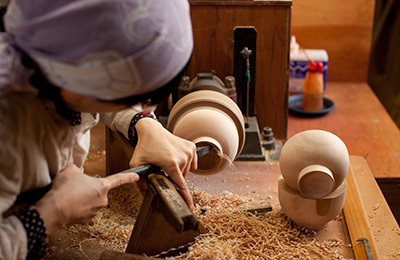 Maiko then cools down the tip to temper the metal, meaning it will be tough when carving wood on the lathe. Maiko Okuno hones the edge of the blade, checking the sharpness as she goes along. 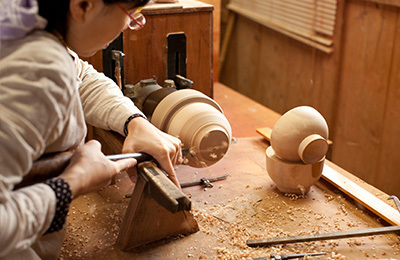 Maiko Okuno crafting on the lathe at her studio in Ishikawa, Japan. 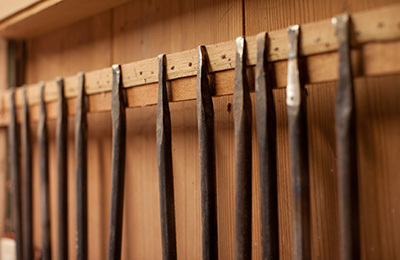 Maiko’s custom chisels that are heated and crafted by hand, manipulating the tips for different purposes. 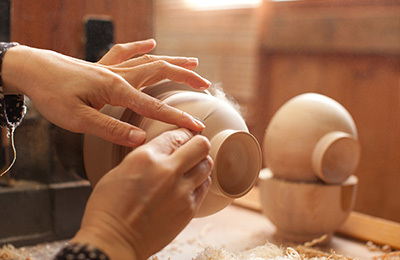 First Maiko takes off the wood around the body of the bowl, removing any excess that isn’t needed. 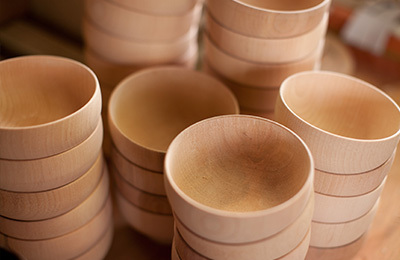 Okuno uses pre-cut templates to get the bowls to the desired shape. 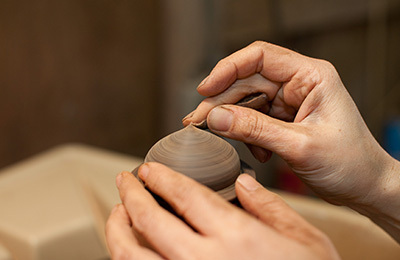 She then starts to work on the foot of the bowl, using a chisel to hollow out the bottom to that the bowl stands nicely. 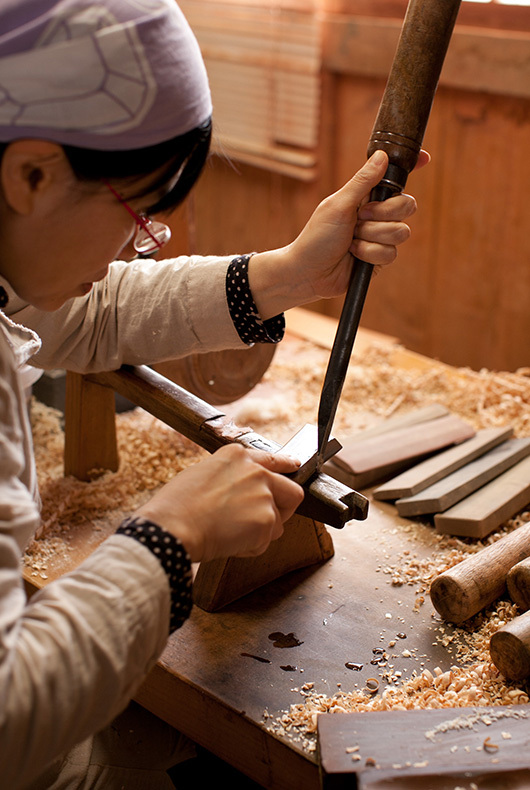 Maiko works with the material at hand, looking for the grain in the wood that she can use to her best advantage. 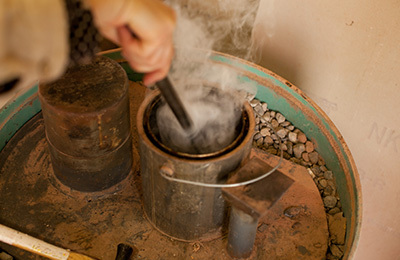 She then sands the bowl making the surface smooth and shiny, working out any small imperfections. 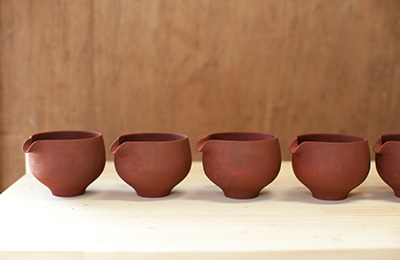 A selection of finished natural wood bowls by Maiko Okuno, later she will add lacquer to the surface of these bowls. Maiko adds the first coat of lacquer to the Zelkova Dome Box, sanding to get each layer evenly spread across the surface. Lipped Lacquer Vessel by Maiko Okuno after a few coats of lacquer. The Mizumezakura Dome Box at a selection of different stages in the making process. 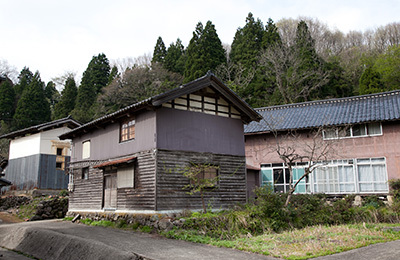 A look at Maiko Okuno’s quaint studio in Ishikawa Prefecture, Japan. 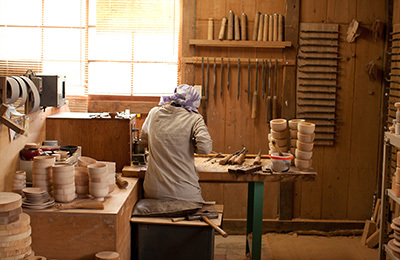 In the countryside of Ishikawa Prefecture, home of talented Japanese woodworker Maiko Okuno.